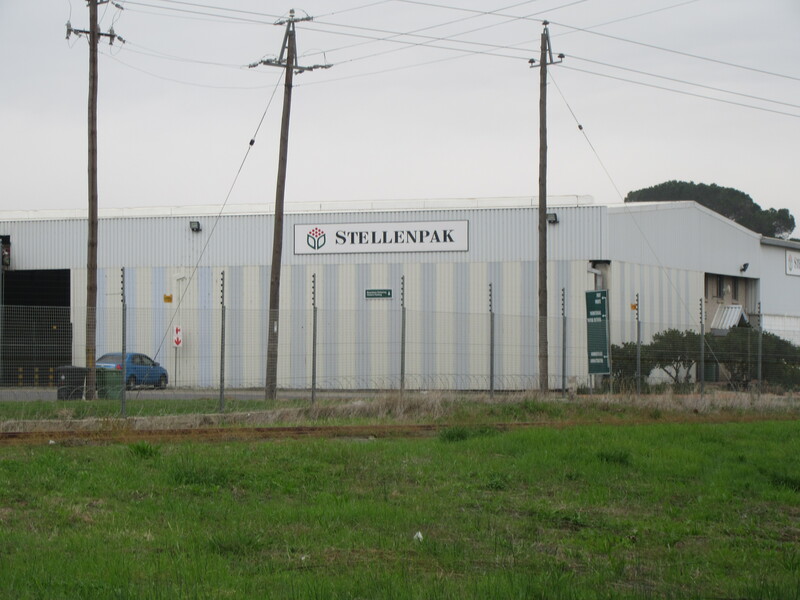 Stellenpak, the stone fruit and citrus packing company situated at Simondium, Paarl, installed it’s first Storax system in an existing chill room in 2013 to store 1053 high cube pallets with a maximum weight of 1400kgs on two levels in the height. The Storax system can be controlled by their MJ IT Services warehouse management system via an RS422 port. 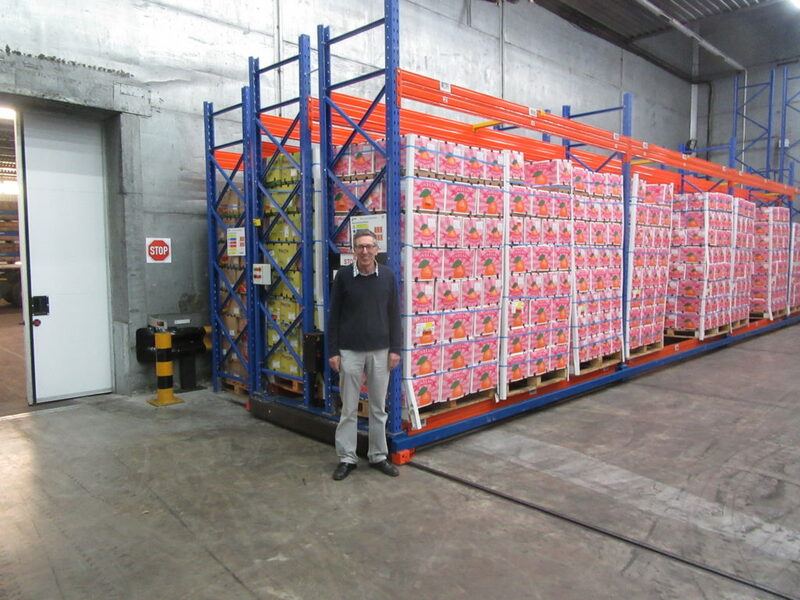 The pallets are placed with their 1200mm sides facing the moving aisles. The bay spans for 3 pallets are 4000mms. As the systems were retrofitted, the Storax rails were fixed to the existing floor and an additional reinforced slab, designed and installed by Melt Wahl Concrete Services, was poured around them. The ramps were mainly accommodated in the doorways. Additional protection was added in the form of wooden bumpers to protect the Storax bases in this high volume environment. Phase two, completed in a smaller room during 2016, has capacity for a further 506 pallets. One of the 11 mobile bases in phase one was reconfigured for use in phase 2 so as to increase the moving aisle width in phase one. “There is less product damage and stock rotation is no longer a hassle”. Having experienced some counterbalance forklift damage to the Storax bases in the second season, Robert decided to increase the aisle width to over 4000mms by removing moving one mobile base which was incorporated into phase 2. He also improved the lux levels by installing three runs of energy saving OrbitX LED light tubes in each aisle. 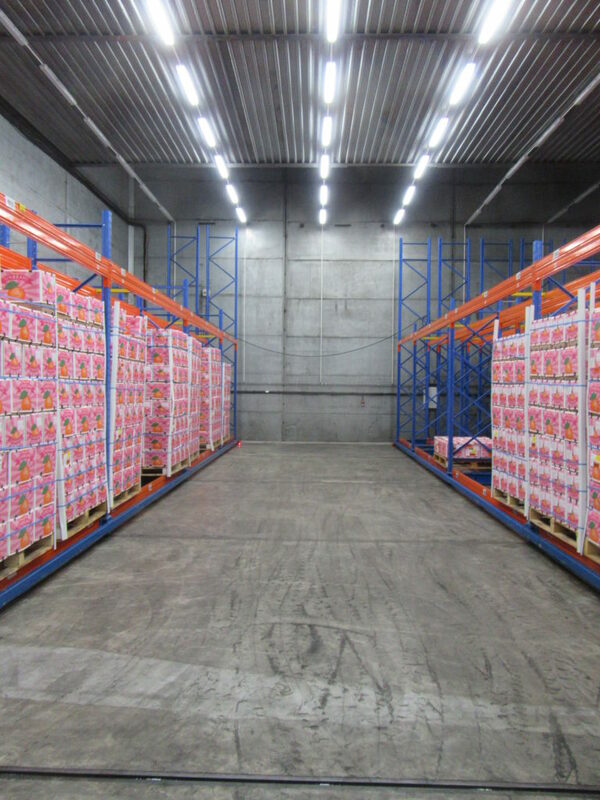 The lights come on automatically when an aisle is opened, which saves electricity and heat ingress. Stellenpak also called in Accredited Training to do regular training. As a result, last season’s damage was minimal. Need racking for your fruit store?